The police say two suspects, including a lecturer, were arrested last week in connection with the professor’s murder. It is alleged that a professor at the University of Zululand (Unizulu) was fatally gunned down after he discovered a syndicate at the institution issuing fraudulent PhDs. Sowetanlive reports that two suspects, including a UniZulu lecturer, were arrested last week for Professor Gregory Kamwendo’s murder. The professor was killed in May this year at his home. It is alleged the Unizulu lecturer who was arrested in connection with Kamwendo’s murder allegedly paid an assassin R10,000 to kill the professor, which he reportedly admitted to doing. It is reported that the motive for the killing was that Kamwendo had discovered a syndicate, involving three of the university’s academic staff members, issuing fraudulent PhDs. KwaZulu-Natal SAPS spokesperson Colonel Thembeka Mbhele confirmed that on Thursday last week two suspects were arrested in connection with Kamwendo’s killing. The suspects, aged 50, are expected to appear in the Empangeni Magistrate’s court on Tuesday, Mbhele said. Unizulu spokesperson Gcina Nhleko was quoted as saying that a comment cannot be made at this stage because the institution was not aware of the arrests. 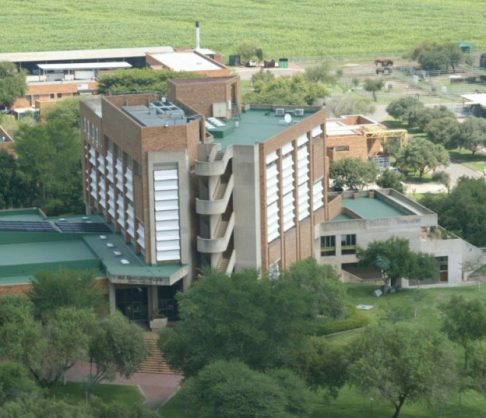 The publication reported a source said a crisis of the issuing of fraudulent PhDs is plaguing the institution and that the lecturer arrested in connection with Kamwendo’s murder had been placed on suspension allegedly for this. The source was quoted as saying that Kamwendo had been fighting the corruption and that death threats had been made to the professor prior to his murder.